Express Sign & Graphics offers quality, long-lasting metal letters. Letters come in cast metal, cut metal and fabricated metal. Materials include; aluminum, stainless steel, brass, copper and Cor-Ten Steel. Ideal for office buildings, government buildings and educational institutions, Cast Metal Letters offer a long-lasting attractive solution for building identification signs. Available for use both as interior signs and exterior signs, our cast metal letters come in 12 finishes inlcuding polished, oxidized or anodized. Cast metal letters offer a classic look and dimension at an affordable cost. 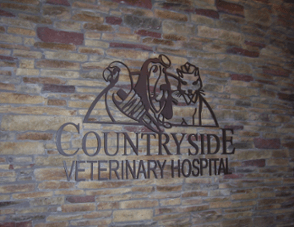 We also offer Prismatic and Round Face metal letters and logos. Looking for custom logos and letters? We can cast your logo or letters in any of our offered metals. We offer over 60 standard styles and many different finish options. Cast Metal Letters are available in bronze and aluminum. Our cast metal building letters are earth-friendly and contain no lead or mercury. All trim is recycled in the casting process. Our metal letters carry a Lifetime Guarantee. Our Stainless Steel Fabricated letters are a beautiful option for both retail and corporate settings where high-end quality is a must. 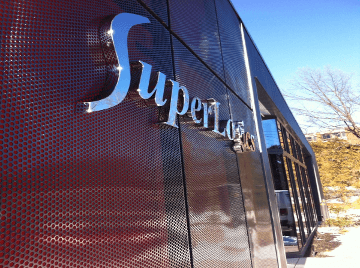 Stainless steel fabricated letters are custom built to your specifications for face and returns (depth). We offer a wide variety of finishes including brushed, polished or painted. Gold titanium coating is also available to create the look of brass at a fraction of the cost. Our fabricated metal letters give you unlimited design potential. They are perfect when an illuminated letter is needed. All of our fabricated metal letters are made in North America and carry our Lifetime Guarantee. Fabricated Metal letters can also be illuminated using LED to further enhance your sign. What type of surface are we mounting to? Brick, block, corrugated, stone, wood, etc. What is your preference on mounting method? Flush, projected, spaced. Do you prefer direct mount, or on a rail? We offer double rail (behind), bottom rail, or bottom or top stud installation. Offered in both Waterjet and Laser cut, our flat cut metal letters offer the ability for very detailed custom letters and logos. Letters and logos are available in aluminum, bronze, brass, copper and steel and in 6 different gauges and 50 finishes, the options are endless for creating beautiful metal letter and logo signs. Our flat cut metal letter signs are great for both interior and exterior purposes. 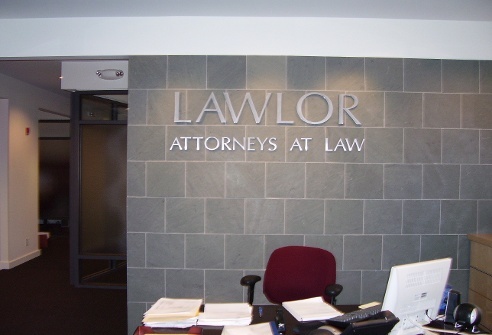 Flat cut metal letters offer the beauty and durablility of metal at a cost-effective price. Strap Mount – Thin metal straps slightly recessed into the back and soldered return. Not for use with LED lgihting. Side Mount – Stainless “L” bracket with holes and bosses to received threaded studs is glued to inside return. Min. 6″ high and 1″ deep letter required. Shadow Free Stud – Metal stud blocks are glude to the inside of the can. Threaded to receive 10-24 studs. Only available on letters up to 12″ high. Lexan Back – Lexan backs are laser cut to fit within the inside of the return. “L” brackets are glued to the inside return of the can. 6 – 24″ letters us .118″ thick Lexan. Over 24″ letters use .236″ Lexan. Steel Back – Laser cut steel backs are made to fit within the inside ofthe return. “L” brackets are glued to the inside return of the can. Removable Can – Same as Lexan back, but “L” brackets are held in place with removable pan head screws. Bottom or Top Stud – Metal “L” bracket glued to inside of face & return. Holes and bosses in bottom/top to receive threaded studs. Engineered Stud – Call for Quote.